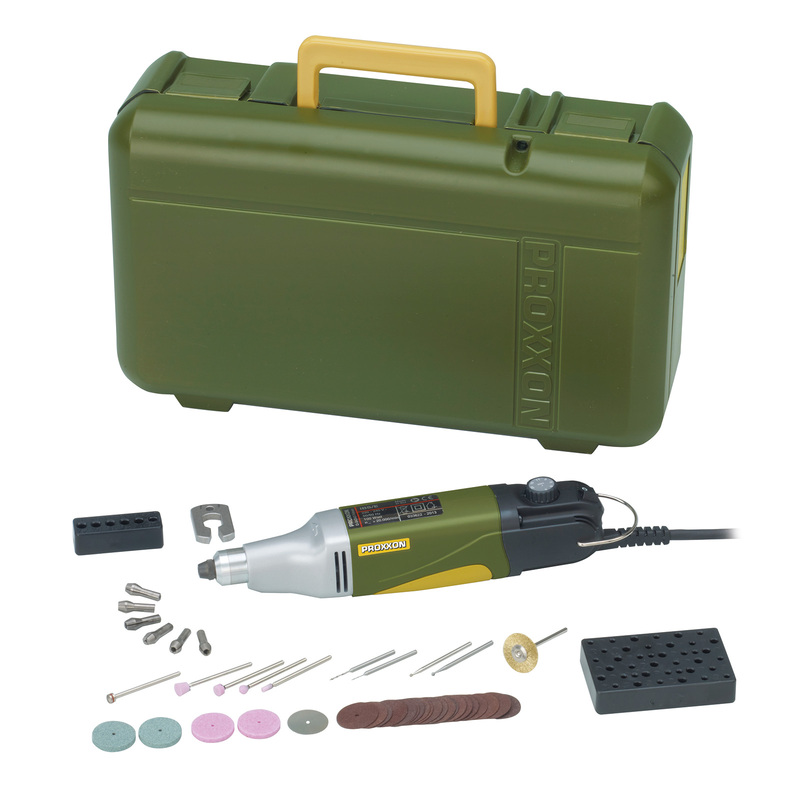 This high-revving tool has variable full-wave electronic speed control capable of producing 5,000 to 20,000 rpm and is usable for extended periods of time without failure. 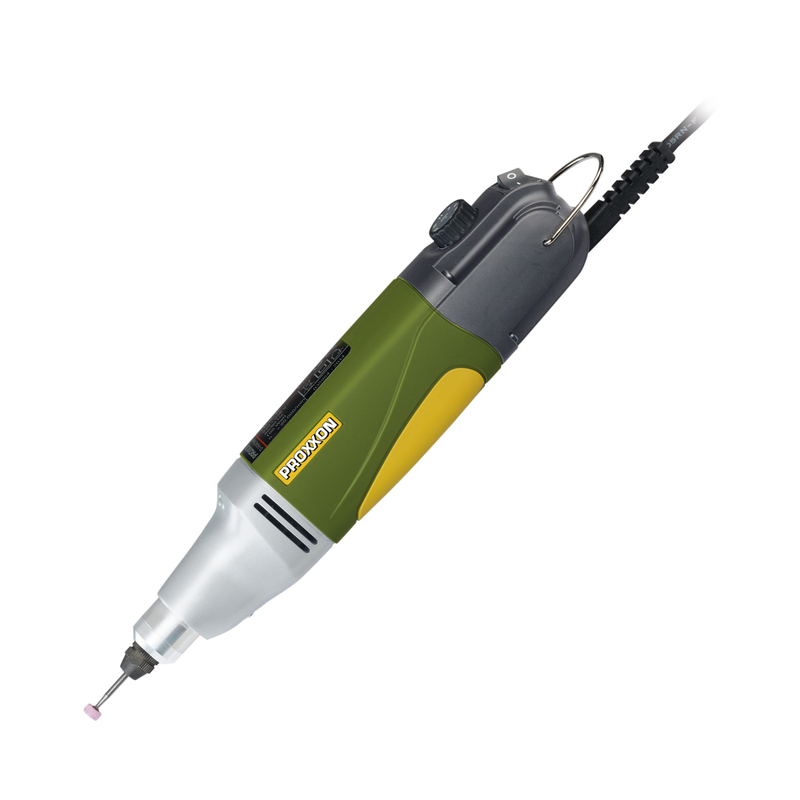 Features include an exceptional power to weight ratio, streamlined die-cast aluminum head and ground steel spindle. Ball bearing assembly minimizes play (max. runout 0.001"). Set includes 6 collets: 1/32", 1/16", 5/64", 3/32", 7/64" and 1/8" (1.0, 1.5, 2.0, 2.4, 3.0 and 3.2 mm), collet nut, a selection of 34 industrial quality bits and cutters with 3/32" (2.3 mm) shanks and premium storage/ carry case.